YING TANG, CPA, Accountant, holds a Master’s Degree in Accounting from San Diego State University, which she obtained in 2007. She worked as a Staff Accountant in a regional CPA firm for almost 4 years before she joined Fleming and Curti, PLC. She joined the financial department in July 2013 and is now responsible for tax returns and preparing court accounting forms. Ying’s husband, Wei, is an Electronic Engineer of Texas Instruments. Ying likes to cook Chinese food and spend time with her toddler son when she is not working. 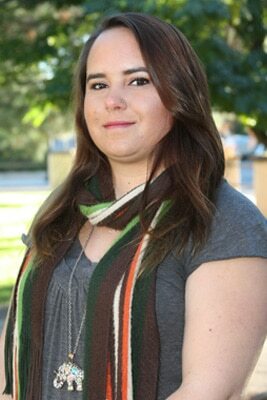 CAROL ROMANO, Financial Assistant, is a native of Tucson. She joined Fleming & Curti in January of 2011. She handles account management including investment oversight (arranging for security purchases and sales in estates, trusts and conservatorships), office billing and Fleming & Curti accounting. When not at the office, you can find Carol spending time outdoors, with her husband. Both love to go camping in the mountains as often as they can! YVETTE MORENO, Financial Assistant, began her career at Fleming & Curti, PLC, as a receptionist. Her work background (in retail) did not particularly provide clues to her talents with numbers and people, but both became evident soon after her arrival. She is now the essential center of the administration of trusts, conservatorships, and estates — she manages the payment of bills and organization of everything from medical supplies to utilities for our wards, beneficiaries and clients. SHELBY STANLEY, Financial Assistant, joined Fleming & Curti in June 2016. She graduated with her associate degree in Criminal Justice and hoping to pursue a career as a court reporter. She is a fast skilled typist and enjoys being near or around the courtroom. Shelby enjoys arts and crafts and loves the outdoors. Her free time is taken up by two cats that she rescued and exploring Tucson.